Does anyone else agree that this month has gone super quick? It doesn’t feel like a day has gone past since we celebrated a brand new year and here we are seeing February in. Life really is too short! Luckily, I have a lot to look forward to in the forthcoming month, I will be seeing Gorgon City live and will also be travelling to New York at the end of the month. Excited doesn’t cover it. Anyway, back on topic. After a months absence, it’s time to welcome back my monthly blog about “Song of the month”. Yes, the time when I look back at the big songs I was listening to throughout the previous month and the song that I just could not get enough of. In January, that honour went to Mark Ronson (along with Bruno Mars) singing the song “Uptown Funk”. Yes, the song is pretty much everywhere at the moment and was a big hit in the lead up to Christmas due to a certain X Factor performance. It really is a great song and reminds me of the disco funk around in the late 1970’s going in to the early 1980’s but with a modern twist. I will be the first one to say that I hated this song when I first heard it, but slowly and surely it has really become an ear-worm and a song so addictive I have to listen to it wherever I am. ‘Uptown Funk” managed to notch up a total of 86 plays since January 1st. That is a very impressive total and goes to show that I must have played it at least twice per day. It received the highest number of plays on the 23rd January (what was I doing that day I wonder?) and has a fantastic video to boost which I will post for you. Now it is time to look at the big Top 5 of songs that were featured heavily on my playlists throughout January. A lot of plays, a lot of classic tunes. Amazing. Also, I will start publishing what the most played album of each month is going forward. 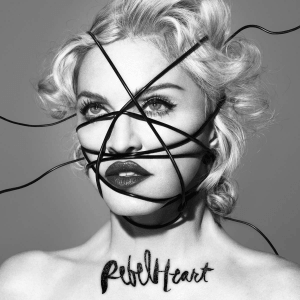 The album I have listened to the most in January 2015 is “Rebel Heart” by the Queen of Pop Madonna which notched up a total of 145 plays. I have not downloaded any demos, I would much rather listen to the finished product and so the 145 plays is based on the six tracks that were released to iTunes just before Christmas. It sounds like it is going to be a really good album! Will it be Album of the month next month as well? So what songs are you listening to currently? Any suggestions? What songs are you looking forward to listening to next month? Will Madonna have the #1 album for two months in a row? You will have to come back this time next month to find out. Happy Scrobbling!